Additional retail shelving for your showcases! Additional glass shelves for our showcases are now available. These glass shelves are made of the highest-quality material. This retail shelving has polished and beveled edges. 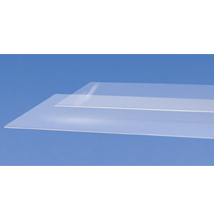 Glass shelves comply with the strictest building codes. Sold only in cartons of 5. For even more options, we ask you to take the opportunity to explore our full collection of retail shelving at Specialty Store Services now.